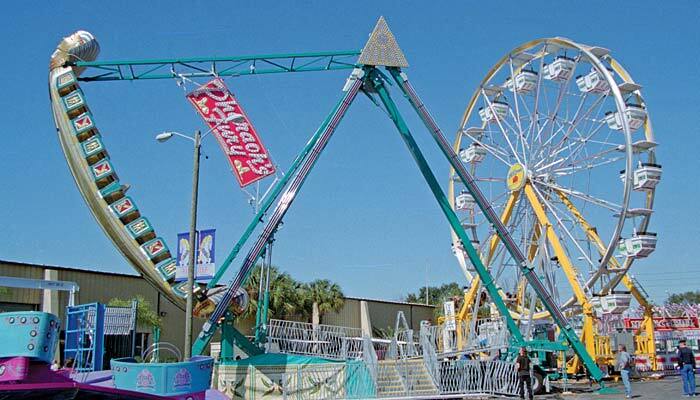 Swinging in an arc 54 feet high, the Pharaoh’s Fury takes passengers from horizontal to vertical. You’ll have all 48 to 60 riders screaming as the boat plunges down. The Pharaoh’s Fury is also available in various themes, including the Sea Dragon.